Baby Gator at Diamond Village is a wonderful place to discover and grow. Our NAEYC (National Association of Educators of Young Children) accredited center serves children are ages 3 through 5 years whose parents are students or faculty at College of Medicine, Public Health and Health Professions, or Pharmacy. We are a VPK (Voluntary Pre-Kindergarten) and School Readiness site. We are conveniently located at Diamond Village Family Student Housing behind Shands Hospital on Diamond Village Road. 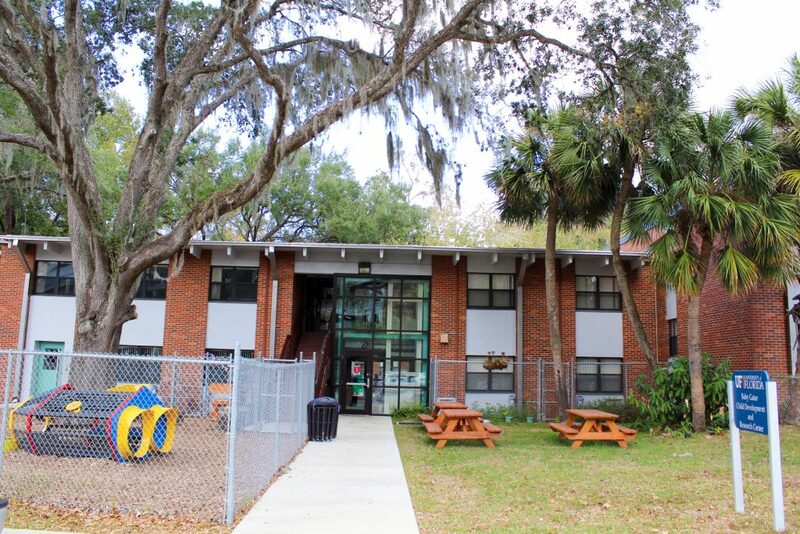 Each child at Baby Gator Diamond Village is served a nutritious breakfast, lunch and snack every day through the USDA Child Care Food Program (CCFP). Each year, the Diamond Village center works with a variety of volunteers, practicum, interns, and researchers from UF, Santa Fe College, and the surrounding community.